Boogie boards are the best way to wear the kids out so you can relax on a lounge chair in peace. Even works for big kids. Looking to see other parts of Vero Beach and Florida? 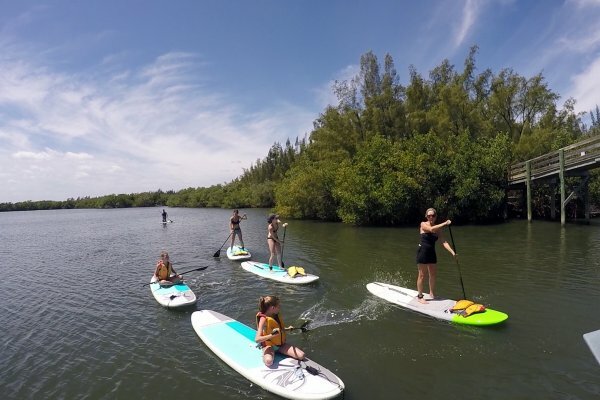 Take a guided tour on the Indian River Lagoon. Our dock in the marina at Riverside Cafe is less than a mile from out beach locations. We get to paddle board & kayak with dolphin and manatee nearly everyday.